Today’s spinning was fun. I had much better control over the amount of fiber going into the twist as I drafted, so the yarn was MUCH more even. Plus, I was able to keep the process going way more steadily, instead of having to stop frequently and fix something. 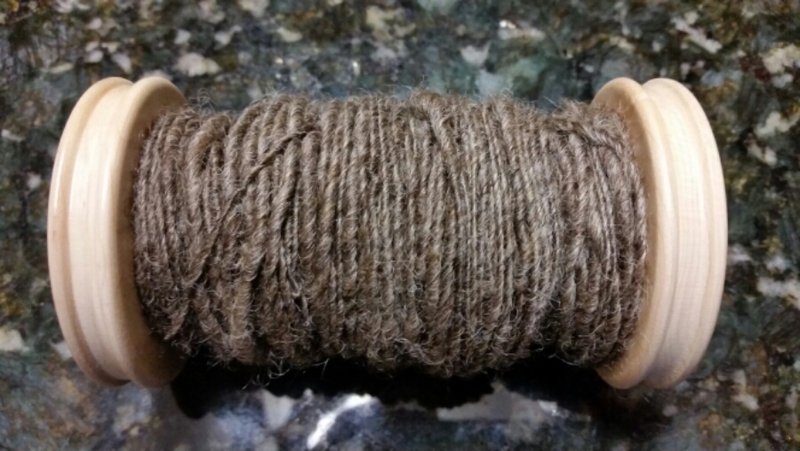 This is two ounces of wool that I spun tonight, and on the second half I only had to stop two or three times. Very cool. Tomorrow when I ply everything I’ve spun since Wednesday it will be very interesting to measure the relative lengths of the final results. P.S., as a frame of reference, there is about 4 inches between the two ends of the bobbin.